The TVS Apache RR 310S will be TVS’ first 300 cc motorcycle. The TVS Apache RR 310S is on track for a July-August 2017 launch. Based on the TVS Akula 310 concept showcased at the 2016 Auto Expo, the motorcycle shares the engine and platform with the BMW G310R. Both the motorcycles are a result of the joint venture signed by TVS and BMW Motorrad in April 2013. The TVS Apache RR 310S will have the same platform and powertrain as the BMW G310R but can be expected to have a stronger low and mid-range. 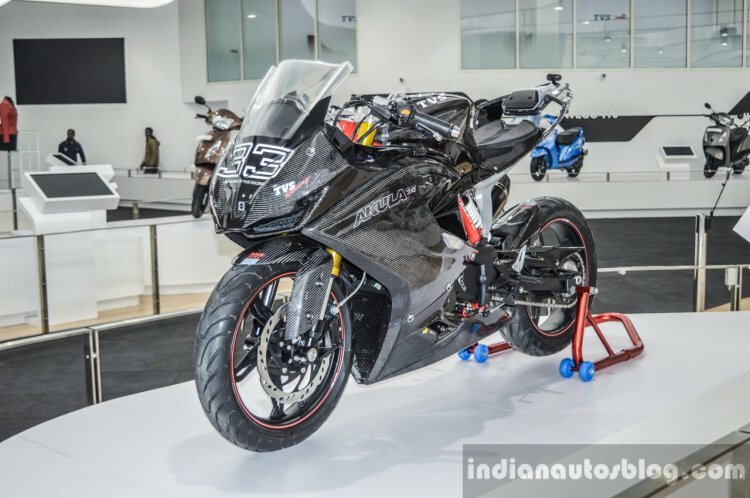 The TVS Apache RR 310S will be positioned differently than the BMW naked roadster. Despite being showcased as a track focused tool at the Expo, the production version of the TVS Akula 310 will have a slightly relaxed riding position. BMW Motorrad also has a bike on the same platform, we will be showing our bike soon, despite being on the same platform they will cater to different customers and the intent will be very different. As far as the partnership with BMW is concerned the idea is to bring the synergies on the hardware together though the brand positioning will be very different. Apart from the TVS Apache RR 310S, the company is also set to introduce a new scooter this fiscal. 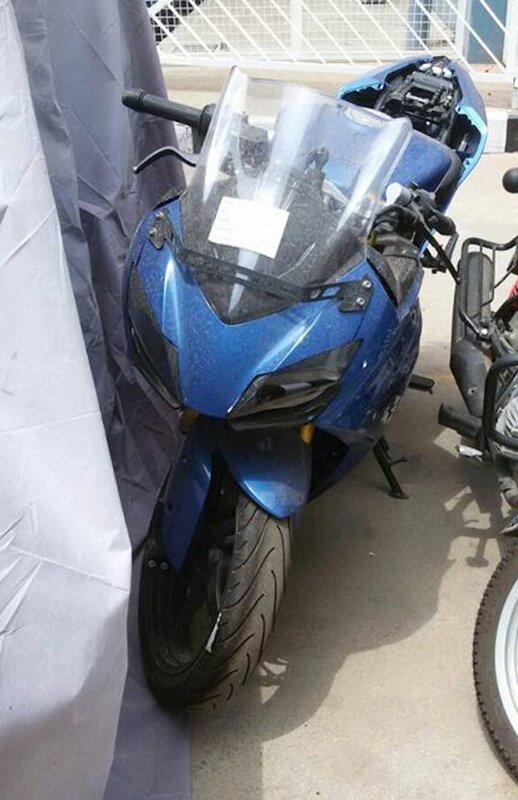 A teaser image, resembling a refurbished TVS Scooty Zest 110 was released recently and is expected to be launched before the fully faired motorcycle. The TVS Apache RR 310S is expected to be unveiled at the in July-August 2017 and will get features like upside down fork up front and all-digital instrumentation. TVS Motor last week also confirmed its plans to expand its presence in South America by signing up with MASESA. This collaboration will lead to TVS getting access to over 500 touch points in El Salvador, Honduras, Guatemala, Costa Rica and Nicaragua.